Is anyone else a cookie dough eater? What is it about this sweet treat. Often my cookies get eaten raw before the make it to the oven to bake. We have the perfect treat for the cookie dough and chocolate lover! 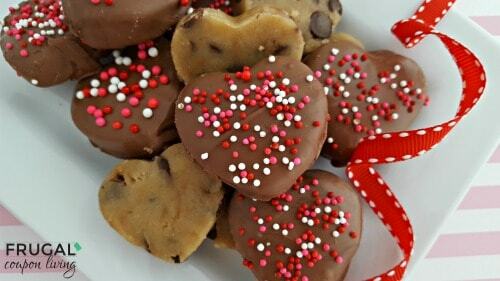 These Cookie Dough Hearts are the perfect treat. Serve for Valentine’s Day or any ole’ reason. Enjoy! Combine flour, baking soda, salt, sugars, softened butter and vanilla extract in a large bowl. With clean hands, work the dough. Add 1 cup semi-sweet chocolate chips and continue to work the dough until chocolate chips are incorporated. One tablespoon at a time, add water if needed to get the desired consistency. Lay a piece of parchment paper on a large flat surface (baking sheet or cutting board works well). Place the dough onto the parchment paper and spread it out evenly until the thickness reaches approximately 1/2”. Place the cookie dough in the fridge to cool for 20 minutes. 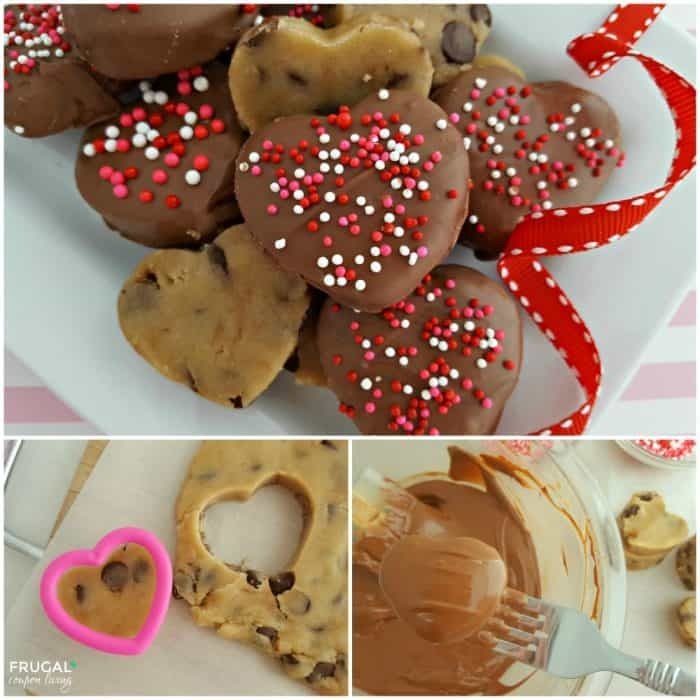 Once cooled, use a heart-shaped cookie cutter to cut out hearts from the dough (smaller cookie cutters work best to make bite sized pieces). Combine the scrap dough continually to make as many hearts as possible. Once all dough is used, place 2 cups milk chocolate chips in a microwave-safe bowl. Microwave on high for 15-20 seconds, stir and continue this process until chocolate is completely melted. Place one heart in the chocolate at a time and completely coat. 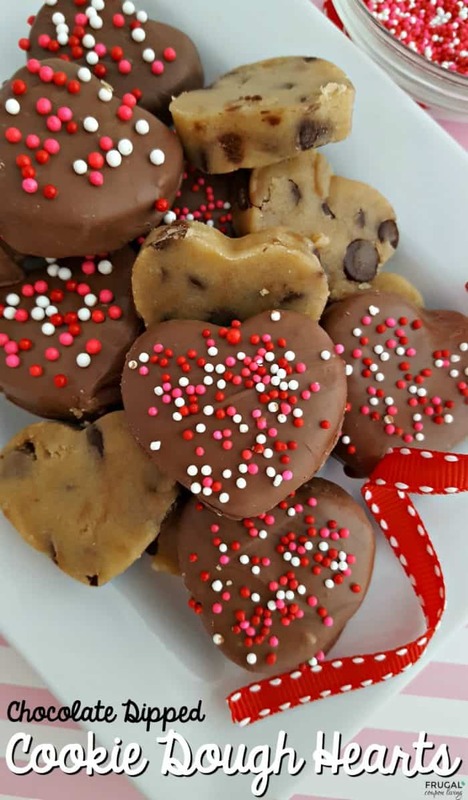 Using a fork lift the cookie dough heart out of the chocolate – tapping the side of the bowl to ensure excess chocolate drips off. 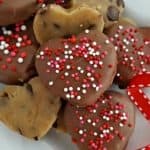 Place the chocolate covered heart back on the parchment paper, and quickly add sprinkles (if desired) while chocolate is still melted. Continue this process until all cookie dough hearts are covered in melted chocolate. Chill in the fridge for 10 additional minutes and then serve. 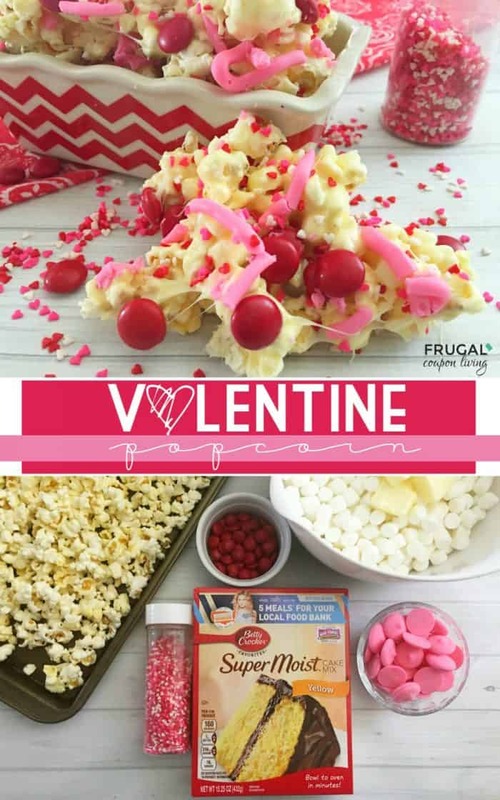 Take a look at our Valentine Popcorn Treats Recipe. Pin to Pinterest. Enjoy our recent Valentine Love Bug Fruit Cups. Pin to Pinterest. 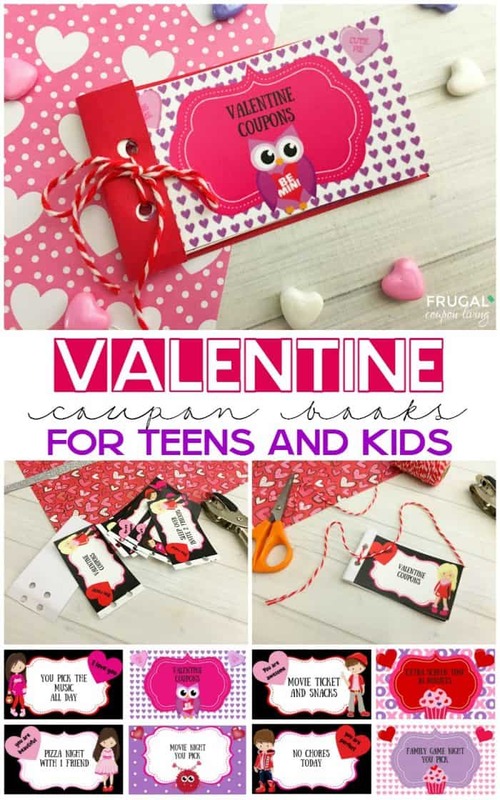 This is fun for the kids – the Kid and Teen Valentine Coupon Books. Pin to Pinterest. 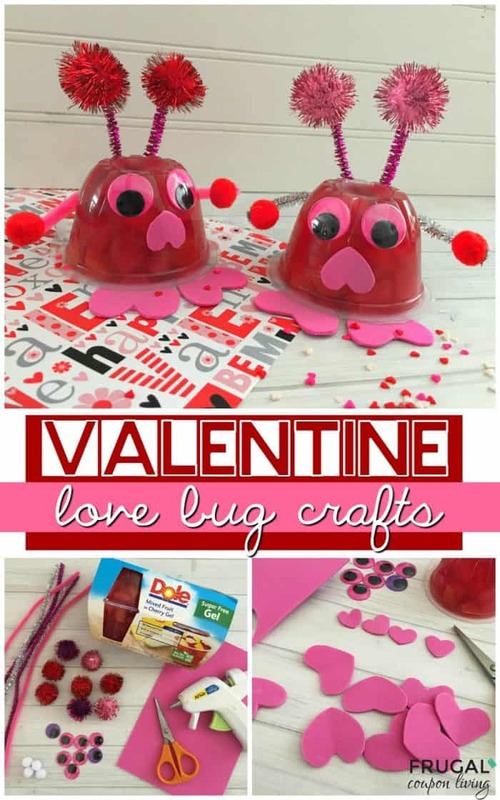 Also take a look at our Valentine’s Day Food Crafts for Kids. Pin to Pinterest.